Americans sold 612,000 homes in 2017 and 44,000 in January 2018, according to data from the Census Bureau. For most home sellers, selling your home at a profit is likely one of your goals. Location is a big factor in this, as some housing markets favor sellers while others are more favorable to buyers. Below SmartAsset looks at the best cities to sell a house. In order to rank the best places to sell a house, we looked at data on four factors. Specifically we looked at change in home values, average days on the market, percent of homes sold for a loss and the number of real estate offices per 1,000 residents. Check out our data and methodology below to see where we got our data and how we put together the study to create our rankings. This is the 2018 version of this study. Check out the 2017 version here. California dominates – Seven of the top 10 cities are located in California. 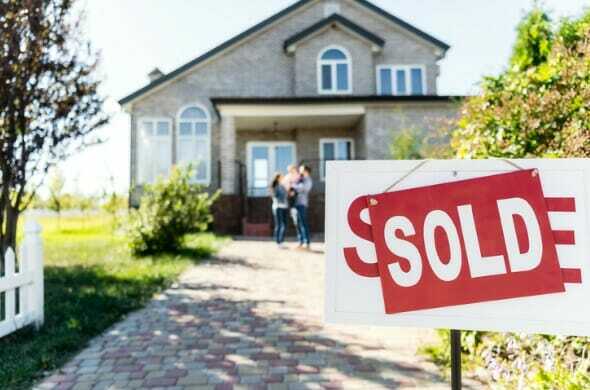 The state has seen home values climb in recent years, meaning many sellers are making a profit on selling their homes. Most California homeowners sold their homes relatively quickly as well. In Fremont, for example, the average home is on the market for only 12 days, according to our data. Virginia cities score poorly – Virginia cities like Chesapeake, Newport News, Virginia Beach and Norfolk all scored in the bottom 10. Homes here sat on the market for a while and our data shows that large chunks of homes ended up being sold for a loss. 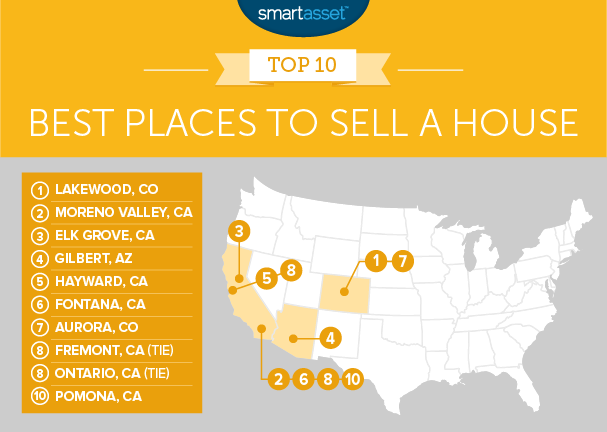 Lakewood, Colorado occupies the top spot. This city is a great place to sell a house for two reasons. First, the median home in the area has seen a remarkable increase in value. From 2012 to 2016, the median home saw its value increase by just under 15%. The second reason Lakewood ranked so well is the short time homes sit on the market. According to our data, the average home in this city spends only 16 days on the market. For both of those metrics this city ranks in the top 10. The median home in Moreno Valley is worth almost 19% more in 2016 than it was a 2012, a development that homeowners and home sellers are likely happy to see. Of course just because the median home value is increasing doesn’t mean every single home’s value is rising. In Moreno Valley, however, most people selling their homes made some profit. Our data shows that only 2.6% of homes here are sold for a loss. Located just south of California’s capital, Sacramento, is Elk Grove, the third-best city to sell a house. With top 20 scores in median home value change, average days on the market and percent of homes sold for a loss you could be forgiven for thinking this city should rank higher. However, it’s overall score is hurt by the fact that closing costs in this city run just shy of $4,800 on average, giving Elk Grove the seventh-highest closing costs in our top 10. Not many sellers took a loss on their homes in Gilbert, Arizona. According to our data, around 2.8% of homes were sold for a loss in this city. Furthermore the median home in this city saw its value increase by 12%, making it a great city for people looking to sell their home. Many homeowners in Hayward have had the fortune of seeing their homes’ values shoot up. From 2012 to 2016, Census Bureau data show the median home in Hayward saw its value increase by over 20%. This does not seem to be slowing down as buyers are still snapping up homes as soon as they come on the market. According to our data, the average home here sits on the market for 15 days. For that metric this city ranks seventh. Home values in Fontana, California have not climbed as fast as home values in some other cities. In total the median home’s value increased by 12% from 2012 to 2016, the 22nd-fastest rate but second-slowest in our top 10. However this city ranks in the top third for average days on market and real estate offices per 1,000 residents keeping it in our top 10. If you are the type of seller who feels comfortable going it alone without the help of a real estate office, Aurora is a good place to be. This city has one of the lowest scores for real estate offices per 1,000 residents. However it scores in the top 15 for median home value change, average days on the market and percent of homes sold for a loss. Fremont, one of the best cities to buy a family home, is also one of the best places to sell a house. This Bay Area city has one of the most aggressive home buying markets, something anyone selling a home appreciates. According to our data, the average home sits on the market for only 12 days. That means homeowners can afford to be patient when selling their home in this city. The only downside to selling a home here are the closing costs. According to our data, closing costs in this city run over $11,400 on average. Ontario, California comes in tied with Fremont for eighth. 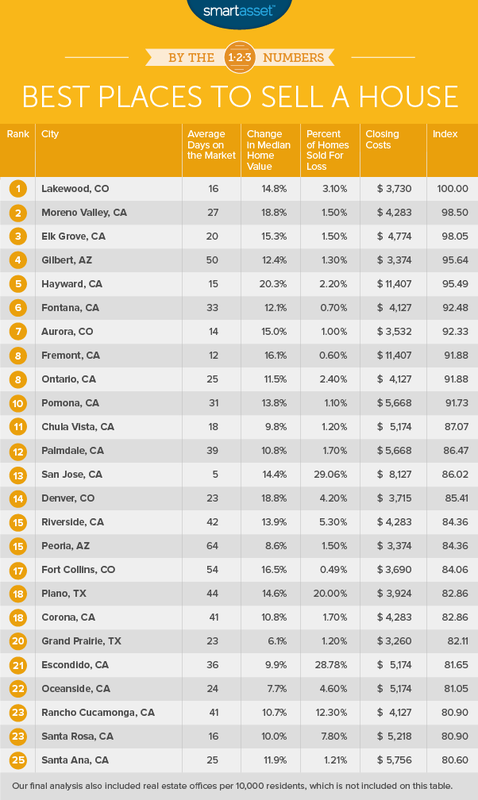 This city combines above-average scores across the board with relatively low closing costs to climb the ranks into our top 10. From 2012 to 2016, the average home here increased in value by over 11.5%. The average home stays on the market for about 3.5 weeks. In both of those metrics, Ontario beats 80% of other cities in this study. Our list ends in Pomona. This market is better for sellers who are willing to be patient and can afford to wait for a big payout. In total the median home value here increased by 14% from 2012 to 2016 and only 3.1% of homeowners sold their home at a loss. However on average it took just over a month to sell a home in this city. Not a long time by any means (in Chesapeake, Virginia, for example, it took over four months on average to sell a home) but long enough stop Pomona from ranking higher. 5-year change in median home value. This is the percent change in median home values from 2012 – 2016. Data comes from the Census Bureau’s 2012 and 2016 5-year American Community Survey. Average number of days on the market. This is the average number of days a home is on the market before it is sold. Data comes from SmartAsset’s 2018 healthiest housing markets study. Percent of homes sold for a loss. This is the percentage of homes sold for a price lower than the previous sale price. Data comes from SmartAsset’s 2018 healthiest housing markets study. Closing costs. This is the average closing costs by city. Data comes from SmartAsset’s 2017 places with the lowest closing costs study. Real estate offices per 1,000 residents. This is the number of real estate offices per 1,000 residents. Data comes from the Census Bureau’s 2015 County Business Patterns Survey. We ranked each city in metric. Next we found each city’s average ranking giving a double weight to 5-year change in median home value. Using this average ranking we created our final score. The city with the best average ranking received a 100 and the city with the worst average ranking received a 0. Evaluate your home’s condition. In order to get the best price for your home it’s important that you make sure it’s in the best condition possible. It can pay off to update the your home’s appearance including applying a fresh coat of paint, putting items and clutter into storage or similar steps to make your home seem unappealing to a potential buyer. The exterior of the house is especially important as it’s the first thing a potential buyer sees and you want to make a good first impression. Choose a price. If you use an experienced real estate agent they can help you do research to come up with an accurate price for a home. If you are trying to save money and skipping on the agent you will need to do some research. Look for homes that have been sold in the past few months to see what the market is like. Timing. If you do not have a ton of time to find the perfect buyer you may want to list the home at a price where you can attract buyers. This is especially true if you are in a position where you need to move and can’t afford mortgage costs for two mortgages.